Watching videos is - in my opinion - always a good supplement to old-school reading and writing. 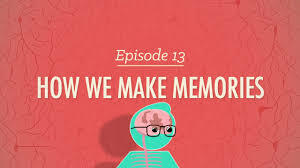 This video is one example of a video regarding cognitive psychology (i.e. Memory). However, the channel has heaps and heaps of different videos regarding different topics. New edition of a book?